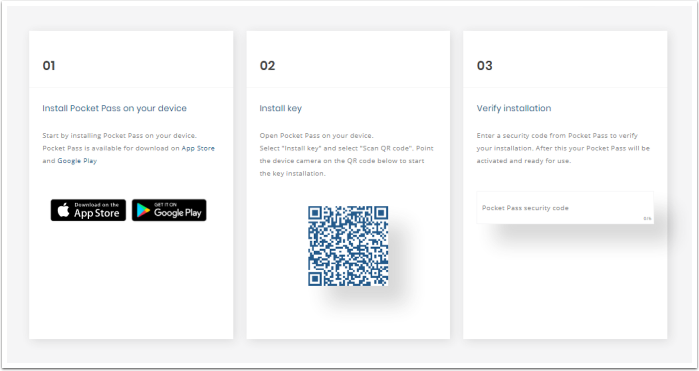 PhenixID Pocket Pass Enrollment allow users to activate themselves for strong authentication with one-time password (OTP), using PhenixID Pocket Pass application. The activation portal reduces user interaction to an absolute minimum. Configure Issuer and code length. Issuer is a logical name, such as organization or unit, used for naming profiles in Pocket Pass application. The issuer name will be seen in the lower left corner, in combination with username. Security code length is the number of digits used for OTP in the Pocket Pass profile. 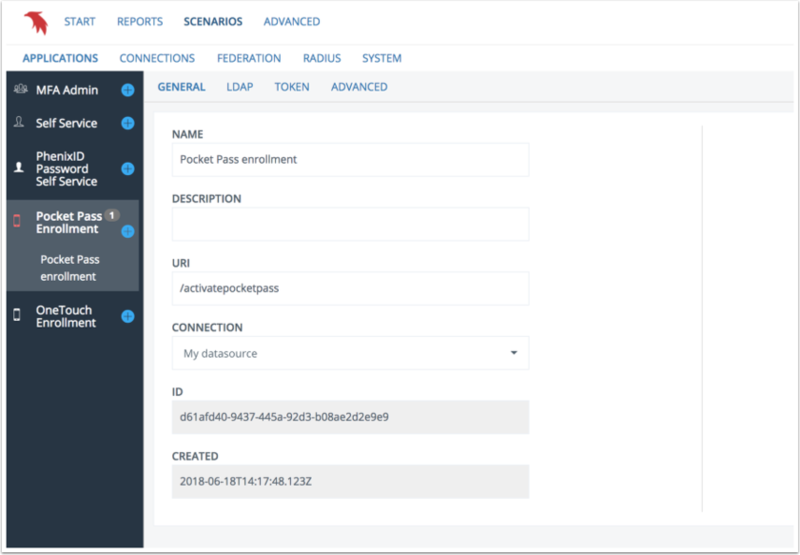 Multifactor authentication can be added to the login scenario. When logged in, enrollment can be made for Pocket Pass profile(s). You can edit and delete your pocket pass enrollment configuration by selecting it in the lefthand menu. Issuer: Name of organization or unit issuing the token. 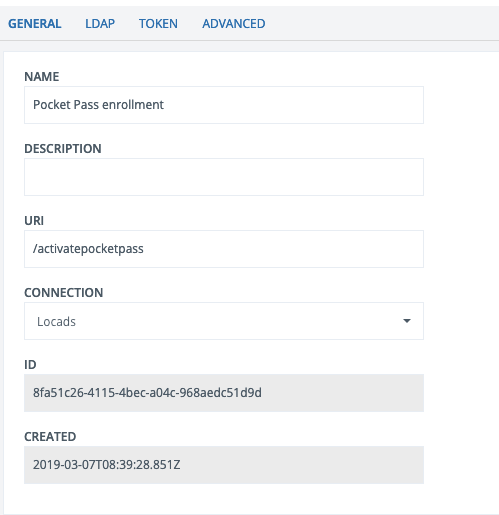 Identifies the the token (key) in the Pocket Pass client in combination with username. Security code length: Length of OTP security codes (6 or 8 digits). Protect security codes with PIN: If access to the token should be protected by a PIN code. 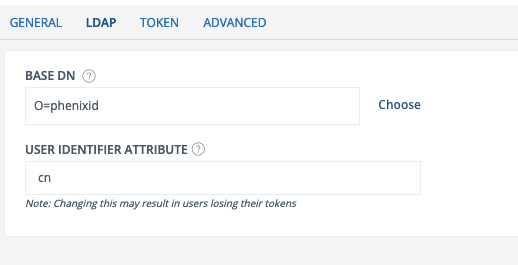 Allow user to activate multiple tokens: If multiple tokens are allowed. Token type: Time based or counter based. Security code period: For how long each OTP is valid, 30 or 60 seconds.